Open Head Injuries vs. Closed Head: Which Is Worse? When it comes to head injuries, there is a lot of confusion when it comes to medical descriptions. With many different interpretations of different terms, it can be difficult to determine what people actually mean. Some of those terms include open head injuries or closed head injuries. TryMunity always wants to spread knowledge and correct information to the TBI community. Here is a brief summary of open and closed head injuries. If you have any specific questions relating to your injury, it is best to refer to your doctor. A closed head injury is one in which an injury does not break the skull. An open head injury is one that breaks through the skull and goes through to the brain. The determining factor that makes an injury closed or open depends on if the skull is intact. It is difficult to assess how severe an injury is depending on if it is a closed or open head injury. The swelling involved in some closed head injuries is so great that it can cause significant damage. If a head injury is open, it leaves the brain exposed to damage as well. Either one could be more severe than the other with certain circumstances. There have been some situations in which an opening in the skull allowed the brain to swell without as much damage to tissue and made the injury less severe while other open head injuries caused more harm. 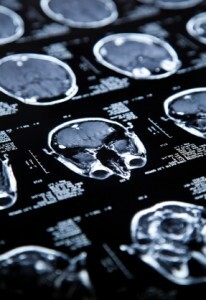 The only way to determine the severity of a brain injury is to consult with a medical professional. If you have questions regarding open head injuries or closed head injuries, join the TryMunity community today. We are happy to assist you with support and resources to help you recover and get back to the most important aspects of your life.